There is no disagreement that we need action by our government, a recovery plan that will help to jumpstart the economy." With all due respect Mr. President, that is not true. Notwithstanding reports that all economists are now Keynesians and that we all support a big increase in the burden of government, we do not believe that more government spending is a way to improve economic performance. More government spending by Hoover and Roosevelt did not pull the United States economy out of the Great Depression in the 1930s. More government spending did not solve Japan's "lost decade" in the 1990s. As such, it is a triumph of hope over experience to believe that more government spending will help the U.S. today. To improve the economy, policy makers should focus on reforms that remove impediments to work, saving, investment and production. Lower tax rates and a reduction in the burden of government are the best ways of using fiscal policy to boost growth. why do ya think Ailes hired him?? He speaks the truth, why would you like him? DAVOS, Switzerland: Even as the U.S. Congress looks for ways to expand President Barack Obama's $819 billion stimulus package, the rest of the world is wondering how Washington will pay for it all. Few people attending the World Economic Forum question the need to revive America's economy, the world's largest, with a package that could reach $1 trillion over two years. But the long-term fallout from increased borrowing by the U.S. government, and its potential to drive up inflation and interest rates around the world, seems to be getting more attention here than in Washington. "The U.S. needs to show some proof they have a plan to get out of the fiscal problem," said Ernesto Zedillo, the former Mexican president who helped steer his country through a financial crisis in 1994. "We, as developing countries, need to know we won't be crowded out of the capital markets, which is already happening." Zedillo said that Washington, unlike most other countries, had the option of simply printing more money, because the dollar was a reserve currency for the rest of the world. Over the long run, that could force long-term interest rates higher and drive down the value of the dollar, undermining the benefits that come with its special status. Until now, most fears about surging government debt have focused on borrowing by European countries like Spain, Greece and especially Britain, which is also in the midst of a sizable bank bailout. That bailout recently pushed the British pound to a 23-year low against the dollar. While the dollar's status as refuge in a time of turmoil should prevent that kind of sell-off for now, a number of financial specialists warned that if fundamental factors like the lack of American savings and bloated budget deficits did not change, the dollar could eventually fall sharply. "There aren't that many safe havens," said Alan Blinder, a Princeton economist who is a former vice chairman of the Federal Reserve in Washington, explaining why the dollar's status as a reserve currency was unlikely to be threatened. Instead, he suggested, it is the dollar's long-term value against other currencies that is vulnerable. "At some point, there may be so much Treasury debt that investors may start wondering if they are overloaded in dollar assets," Blinder said. The focus in Washington has been on putting together a stimulus package that will attract broader political support when it comes up for a vote in the Senate. But here in Davos the talk has been about the coming avalanche of Treasury debt needed to pay for the plan, on top of the bailout measures approved last autumn, like the $700 billion Troubled Asset Relief Program or TARP. The stimulus was approved Wednesday by the House without Republican support, and could grow larger - mostly likely with additional tax cuts - to attract a bipartisan coalition. U.S. officials maintain they are aware of the challenge. A top White House adviser, Valerie Jarrett, promised in Davos on Thursday that once the stimulus plan had achieved its intended affect, the United States would "restore fiscal responsibility and return to a sustainable economic path." Jarrett, a confidante of Obama and his wife, Michelle, is the highest-ranking administration official at Davos. To be sure, Congress and the White House will ultimately need to refill the government's coffers, but how they might do that is barely on the radar screen in Washington at this point. "Even before Obama walked through the White House door, there were plans for $1 trillion of new debt," said Niall Ferguson, a Harvard University historian who has studied borrowing and its impact on national power. He now estimates that $2.2 trillion in new government debt will be issued this year, assuming the stimulus plan is approved. "You either crowd out other borrowers or you print money," Ferguson added. "There is no way you can have $2.2 trillion in borrowing without influencing interest rates or inflation in the long term." Ferguson was particularly struck by the new borrowing because the roots of the current crisis lay in an excess of American debt at all levels, from individual homeowners with subprime mortgages to Wall Street banks who let their balance sheets balloon. "This is a crisis of excessive debt, which reached 355 percent of American gross domestic product," he said. "It cannot be solved with more debt." Ferguson is skeptical about the Keynesian thinking behind Obama's plan - rather than borrowing and spending to stimulate the economy, he favors corporate tax cuts. But even supporters of the plan like Zedillo and Stephen Roach, the chairman of Morgan Stanley Asia, have called on the White House to address quickly how it will pay for the spending in the long term. "It's huge," Roach said. "President Obama has now laid out a scenario of multiyear, trillion-dollar deficits." To make matters worse, he said, the United States "is a savings-short, deficit economy. When we decide to borrow, we're asking lenders from around the world to step up and give us the money." The stimulus is widely expected to pass, but once it does, Roach said the focus would shift to "who foots the bill and what is the exit strategy. We don't have the answer to either question." Zedillo, who remembers the way Mexico was forced to tighten its belt when it received billions of dollars from Washington to keep its economy from collapsing in 1994, was even more blunt. "People are not stupid," Zedillo said. "They see the huge deficit, the huge spending, and wonder what comes next." any date annouoncement when you and Beck are tying the knot? Im only 22 if we pay off 1 dollar a second it will take roughly 320,000 years to pay this debt off. what cave did ya hide in since 2000? Haha, Doc is still dumb as ever. sooo according to you victims who lose everything in floods are scumbags?? how is that not passing a burden down generations???? Remember, Doc was born mentally retarded...takes him a long time to catch on. Its a very different show, as he attacks most issues that many are not willing to even talk about. There is a lot of humor and sarcasim in what he says, and anyone that watches the show understands this. If you are telling me that he said the Katrina victims are scumbags, number one, what else was he talking about and in what context was it said. Second, before you draw a conclusion on the guy, listen to his show for a week or so. 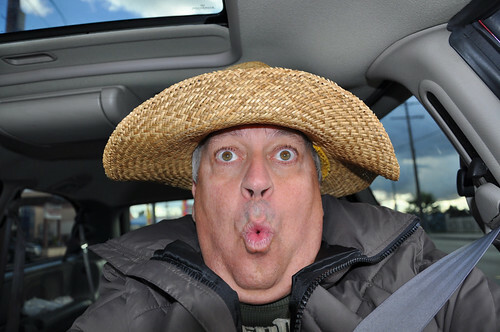 He is only on the radio for 3 hrs a day, and on Fox for an hour, its pretty easy to figure out what hes all about. You cannot borrow your way out of debt. Wish he could ask Obama about that $9 trillion he plans to spend. Now now Doc, who is the person here endorsing violence? So let me get this straight.When Bush took office we had a small deficit and the debt was 4 trillion.When he left the debt was over 10 trillion and his last budget was 2.9 trillion and obamas first one is 3.4 trillion.Can you maybe explain to me how we got here again?????? President Barack Obama has repeatedly claimed that his budget would cut the deficit by half by the end of his term. But as Heritage analyst Brian Riedl has pointed out, given that Obama has already helped quadruple the deficit with his stimulus package, pledging to halve it by 2013 is hardly ambitious. 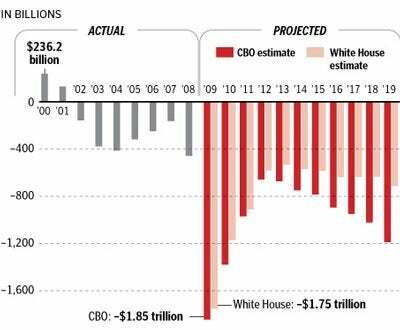 The Washington Post has a great graphic which helps put President Obama?s budget deficits in context of President Bush?s. President Bush expanded the federal budget by a historic $700 billion through 2008. President Obama would add another $1 trillion. President Bush began a string of expensive finan­cial bailouts. President Obama is accelerating that course. President Bush created a Medicare drug entitle­ment that will cost an estimated $800 billion in its first decade. President Obama has proposed a $634 billion down payment on a new govern­ment health care fund. President Bush increased federal education spending 58 percent faster than inflation. Presi­dent Obama would double it. President Bush became the first President to spend 3 percent of GDP on federal antipoverty programs. President Obama has already in­creased this spending by 20 percent. President Bush tilted the income tax burden more toward upper-income taxpayers. President Obama would continue that trend. President Bush presided over a $2.5 trillion increase in the public debt through 2008. Setting aside 2009 (for which Presidents Bush and Obama share responsibility for an additional $2.6 trillion in public debt), President Obama?s budget would add $4.9 trillion in public debt from the beginning of 2010 through 2016. UPDATE: Many Obama defenders in the comments are claiming that the numbers above do not include spending on Iraq and Afghanistan during the Bush years. They most certainly do. While Bush did fund the wars through emergency supplementals (not the regular budget process), that spending did not simply vanish. It is included in the numbers above. Also, some Obama defenders are claiming the graphic above represents biased Heritage Foundation numbers. While we stand behind the numbers we put out 100%, the numbers, and the graphic itself, above are from the Washington Post. We originally left out the link to WaPo. It has been now been added. Another nice copy and paste bruce.Do you realize that in obamas budget he is including the war cost's while bush never did? ?Please explain how we got into this without another cut and paste please. Ohhhh ..... the Righties are gonna love you on this forum !!! I know this hard to understand, but we have a NEW PRESIDENT who is now destroying our Country by acting like BUSH on Steroids. I am for shrinking the Federal Government, abolishing the Fed, freedom, against all bailouts, and for lower taxes , including eliminating the income tax. You guys sit back and make sure you take your medication every 4 hours to cure that bad nasty case of Bush Derangement syndrom you have been suffering from, and we will take back our Country. I am all for this too bruce but the difference between you and I is that i am not going to fall for all the scared sheep nonsense and the whining and crying crap the right gets from fox.I am not going to pretend the last 8 years never happened and that this mess just started .Notice how no one wants to talk about the last 8 years now?Is this the only defense they have? ?That's how we got here. Its simple how we got here, too much government intervention in the free markets system. Blaiming this on failed policies of the Bush adm. is a simplistic talking point. Tank, you are more clueless than a King Hussein adviser. Hello???? McFly???? Social Security, Medicare, Medicaid, Fannie & Freddie....ring a bell? SOCIALISM brought us here, NOT President Bush. Over 50 TRILLION in unconstitutional entitlement liabilities heading our way courtesy of the "social justice" commies and you anti-Bush monkeys are throwing feces over a president who liberated 50 million people in the middle east and kept America safe for 8 years. Good points but again you blame fannie and freddy while those bad loans only accounted for 20% of the mess.You say the govt. intervened to much but i think they deregulated to much and let these fat cats have their way with greed and screwed the taxpayer in the process.They have you convinced we had to bail out Wall Street but let the automakers go bankrupt and screw the middle class again.Hell has been breaking loose for years now but it is just now coming with a price tag on it. "In moving, even tentatively, into this new area of lending, Fannie Mae is taking on significantly more risk, which may not pose any difficulties during flush economic times. But the government-subsidized corporation may run into trouble in an economic downturn, prompting a government rescue similar to that of the savings and loan industry in the 1980’s. Bottom line: No Fannie and Freddy, no sub-prime mortgage crisis. Joey this will be my last post to you since i don't like wasting my time with a phony fraud that is from canada acting like an american.That's really creepy.If you would do a little research you would notice that Bush is the biggest spender that added to the debt. Then there was the 2003 Medicare prescription drug benefit ? the biggest single expansion in the program?s history ? whose 10-year costs are estimated at more than $700 billion. Even with all these programs you speak of when clinton left office his last year he only added 18 billion dollars to the national debt.Gee Einstein care to think how we got from 3 trillion to over 10 trillion without the usual Fox talking points. I have no problem bantering with anyone but it's hard to do it with someone that is not even from here talking about socialism and all when he is from a country that has it.Why in the hell would anyone act like an american when they are not. What a fraud.Who cares what he thinks since he is not even paying taxes or living here.